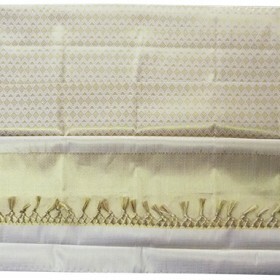 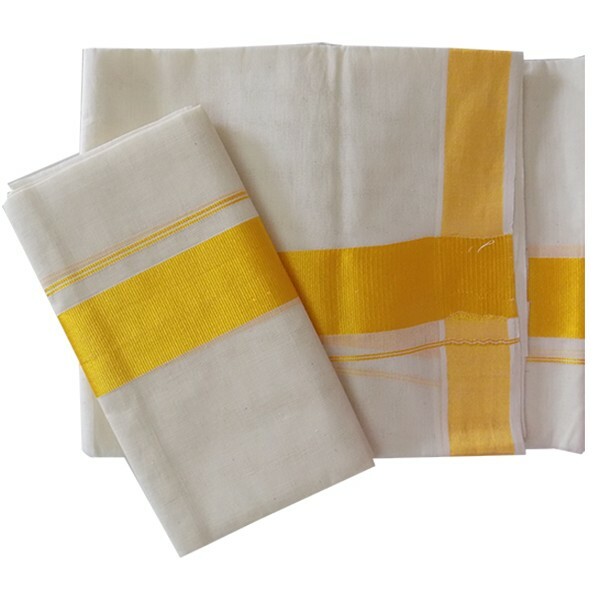 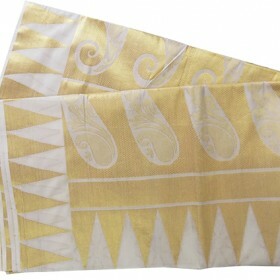 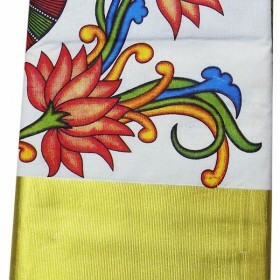 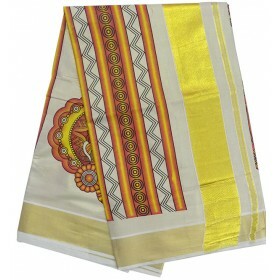 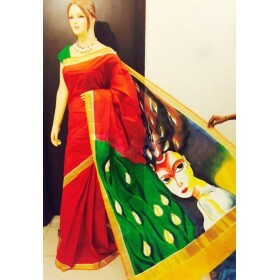 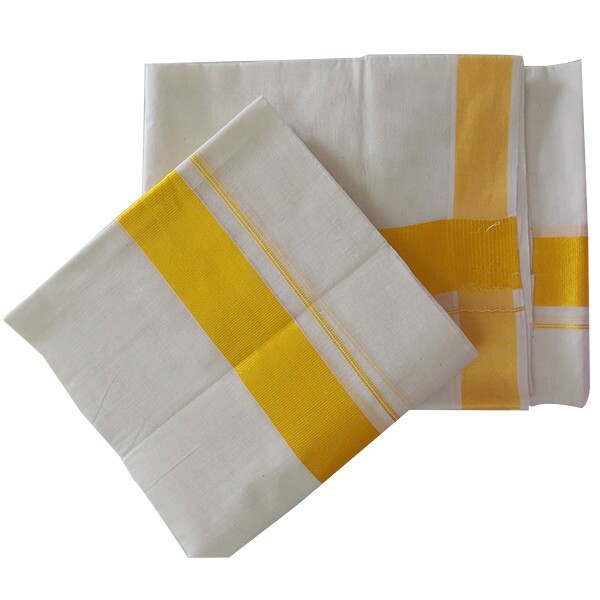 Purchase the Kuthampully traditional Kasavu Mundu online designed by using yellow kasavu threads, bordered with yellowish golden from malabar shopping.the border width is for pallu only and the horizontal border will be lesser than pallu width.the Set Mundu is off white in colour. 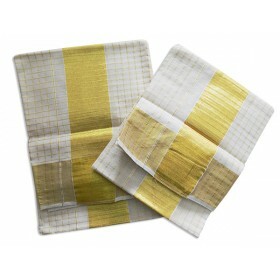 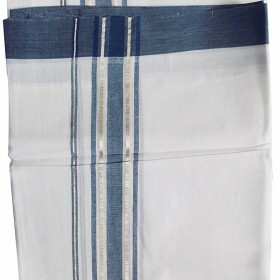 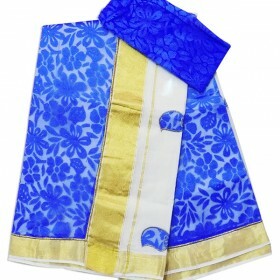 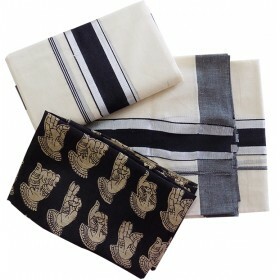 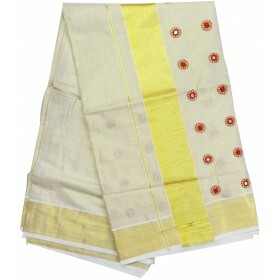 This Kerala Set Mundu is the best divine collection for all the traditional festivals. It gives the stunning blend of simplicity and elegance.